GlaxoSmithKline management has embarked on the start of a new approach to R&D that aims to capitalize on the company’s assets within a promising early-stage pipeline. average rate of exchange in 2017: £1.2890. rate of exchange in 2017: £1.2890. GlaxoSmithKline announced during July a new approach by the company to R&D that concentrates on science related to the immune system, the use of genetics, and investments in advanced technologies. GSK CEO Emma Walmsley issued the following statement of July 25 when the company reported the second-quarter 2018 financial results: “Innovation is the first of our three long-term strategic priorities I set out for GSK last year. Improving the performance of our Pharmaceuticals business and strengthening our R&D pipeline is fundamental to this. Today, we have announced the start of a new approach to R&D which aims to capitalize on the assets we have in our promising early-stage pipeline and build the next wave of growth for GSK. Dr. Barron, chief scientific officer and president of R&D, commented, “GSK has a long history of developing novel medicines that provide significant benefits for patients and today we are describing the next phase of innovation in R&D that will strengthen our pipeline and deliver a new generation of medicines and vaccines. At the core of this new approach is identifying new medicines by focusing on ways to modulate the immune system, leveraging the vast amounts of human genetic data now being generated, analyzing this complex data with machine learning and creating an accountable culture where smart risk-taking is rewarded. “This combination of science, technology and culture will generate new insights, improve our probability of success, enable us to focus and, most importantly, create new medicines that will have important benefits for patients,” Dr. Barron said. According to GSK management, the understanding of the science related to the immune system in the development of human disease is rapidly advancing, suggesting a much broader clinical and commercial opportunity for novel immune modulatory therapies. Additionally, access to large databases derived from carefully genotyped and phenotyped patient populations, combined with technological advances in data analytics, now offer the opportunity to direct drug discovery and development to a new generation of targets with significantly increased probability of success. GSK’s Pharmaceutical and Vaccines businesses have a deep history of developing novel and competitive assets targeting the immune system, company management notes. As of late July, GlaxoSmithKline had 27 immunomodulatory new molecular entities in the clinic, representing 60 percent of the total product pipeline. Of those 27 assets, more than half represent potential first-in-class therapy options for various diseases. In Oncology, the company is developing assets using different immune-based approaches: cell therapy, epigenetic modulators and antibodies targeting immune cells (agonists and antagonists). According to GlaxoSmithKline leaders, investing in advanced technology platforms such as machine learning to support interpretation of genetics data will be a significant part of enabling the new R&D approach. Also, the Group will be investing in functional genomics to validate potential targets, applying techniques for gene modification including CRISPR technology. The company will invest in computational design, automation and new capabilities to assess the indication potential, selection, sequencing and management of evidence generation for new assets over the lifecycle. These investments will supplement GlaxoSmithKline’s existing strengths in other technologies, such as a leading position in Cell and Gene Therapy, company managers say. The GlaxoSmithKline pharma pipeline consists of more than 40 NMEs and the company anticipates a significant amount of critical data readouts during the 2018-2020 time frame. The group has potential assets on track to launch during this period, including two new dual therapy treatments for HIV – dolutegravir+lamivudine and cabotegravir+ripilvirine – and GlaxoSmithKline’s most advanced new oncology treatment, GSK2857916 (BCMA antibody-drug conjugate), for multiple myeloma. EvaluatePharma’s 2018 World Preview report rated GSK2857916 as the pharma industry’s fifth most valuable R&D project with a net present value of nearly $7.5 billion. Beyond 2020, company leadership expects to launch multiple medicines from GSK’s promising, early-stage and highly innovative R&D portfolio. The new major restructuring program is anticipated to deliver yearly cost savings of £400 million by 2021. Charges are expected to be £0.8 billion in cash and £0.9 billion in non-cash during the next three years. “GSK has delivered encouraging results across the company this quarter with CER sales growth in each of our three global businesses, an improved Group operating margin, Adjusted EPS growth of 10 percent (CER) and stronger free cash flow,” Walmsley commented in GlaxoSmithKline’s second-quarter/first-half 2018 results announcement. During the first six months of 2018, Group turnover decreased 1 percent at annual exchange rates (AER) but rose 4 percent at constant exchange rates (CER) to £14.53 billion ($18.73 billion), with growth generated by all three company businesses. Pharmaceuticals led all business segments with first-half 2018 sales of £8.24 billion ($10.62 billion), which were down 4 percent AER but up 1 percent CER versus the same 2017 period, driven mainly by the growth in HIV sales as well as growth from the severe asthma treatment Nucala and the Ellipta portfolio. This performance was partly offset by decreased sales of the respiratory medicine Advair/Seretide and Established Pharmaceuticals. Overall Respiratory sales during the January-June 2018 period dropped off 6 percent AER and 1 percent CER year-over-year. Vaccines sales came in at £2.49 billion ($3.21 billion), an improvement of 10 percent AER and 14 percent CER compared to 2017’s first-half result. Sales were mainly driven by Shingrix in the United States and increased demand for Hepatitis vaccines, partly offset by decreases in some Established Vaccines. At £3.8 billion ($4.9 billion), Consumer Healthcare first-half 2018 sales fell 2 percent AER but rose 2 percent CER, primarily fueled by strong performances from power brands in the Oral health category. This performance was partly offset by the continuing impact of non-strategic brand divestments, U.S. generic competition to the motion sickness medication Transderm Scop, and the implementation of the Goods & Service Tax (GST) in India. For the first six months of 2018, GSK U.S. sales of £5.3 billion ($6.84 billion) were down 1 percent AER, but increased 7 percent CER. That result was driven by strong performances from the HIV treatments Tivicay and Triumeq, and helped by contributions from the growth of Shingrix and Hepatitis vaccines. The HIV treatment Triumeq (abacavir, dolutegravir, and lamivudine) was GlaxoSmithKline’s best-selling prescription medicine during the first half of 2018, moving ahead of the company’s long-running sales leader Advair/Seretide, a blockbuster brand for asthma and COPD. The region of Europe produced first-half 2018 sales of £3.99 billion ($5.14 billion) for the company, increasing 1 percent AER but flat in terms of CER, as growth from Tivicay and Triumeq was offset by continued generic competition to the HIV drug Epzicom and the benign prostatic hyperplasia treatment Avodart. Growth in the new Respiratory products offset the decrease in Seretide. International sales of £5.24 billion ($6.75 billion) fell 3 percent AER but improved 3 percent CER versus the January-June 2017 result, reflecting strong growth in Tivicay, Triumeq, the Respiratory portfolio and Cervarix in China following the HPV vaccine’s recent launch. Sales during first-half 2018 in Emerging Markets dropped off 5 percent AER, but rose 2 percent CER. Company management said following an encouraging 2018 first half of trading, GSK upgraded expectations for the full year: in the event that no substitutable U.S. generic competitor to Advair is introduced during 2018, the Group projected full-year Adjusted EPS growth of 7 percent to 10 percent at CER. In the event of an Oct. 1 launch of a substitutable generic competitor to Advair in the United States, full-year Adjusted EPS growth would be 4 percent to 7 percent, with U.S. Advair sales of around £900 million ($1.16 billion). The revised guidance reflects the successful market introduction of Shingrix, which is forecast to generate sales of £600-650 million during 2018 and the additional contribution to earnings from the buyout of Novartis’ stake in the Consumer Healthcare Joint Venture. The updated guidance additionally takes into account the delay in the launch of generic competition to Advair. Also, the revised guidance incorporates GSK’s expectations of a continuation of the additional pricing pressures in Respiratory that the company identified during first-quarter 2018, including the higher than originally expected decrease in Advair sales before any U.S. generic competition that management expected in 2018 of around 30 percent. GSK leadership says other than Advair, the company does not expect to face significant generic erosion in the United States until the mid-2020s. The product is FDA-approved for treating asthma and for maintenance treatment of airflow obstruction and reducing exacerbations in patients with COPD. Advair/Seretide was GlaxoSmithKline’s best-selling medicine in 2017 with sales of £3.13 billion ($4.03 billion). The respiratory medicine dropped into second place on GSK’s top-selling list for first-half 2018 with sales of £1.16 billion ($1.49 billion). Triumeq was the company’s No. 1-revenue producing medicine in the first six months of this year at £1.29 billion ($1.66 billion). GSK reached a deal in March to purchase Novartis’ 36.5 percent stake in the Consumer Healthcare Joint Venture for £9.3 billion ($13 billion), and the buyout was completed by June 1. The joint venture was formed as part of the three-part transaction between GlaxoSmithKline and Novartis that was approved by shareholders during 2014. Executives say as a result of the transaction, company shareholders will capture the full value of GSK’s Consumer Healthcare growth. With category-leading Power Brands, increased concentration on science-based innovation and improved operational efficiencies, GSK Consumer Healthcare is well positioned to generate sales growth, operating margin improvements and attractive returns. According to management, the business expects operating margins to approach ‘mid-20’s’ percentages by 2022 at 2017 CER. Shingrix won marketing approval in Europe and Japan during March for the prevention of shingles in adults aged 50 and over. The European Commission granted clearance to Shingrix for the prevention of shingles (herpes zoster) and post-herpetic neuralgia. The Japanese Ministry of Health, Labour and Welfare (MHLW) issued approval for the prevention of herpes zoster. Shingrix is the first approved shingles vaccine to bring together a non-live antigen, to trigger a targeted immune response, with a specifically designed adjuvant to generate a strong and sustained immune response. The vaccine combines the antigen glycoprotein E and the adjuvant system AS01B, intended to generate a strong and long-lasting immune response that can help overcome the decline in immunity that occurs as people age. Approved in the U.S. and Canada during October 2017, Shingrix has been recommended by the Centers for Disease Control and Prevention’s Advisory Committee on Immunization Practices as the preferred vaccine for the prevention of herpes zoster and related complications for immunocompetent adults aged 50 years and older. A new indication for Trelegy Ellipta (fluticasone furoate/umeclidinium/vilanterol 100/62.5/25 mcg) was granted by U.S. regulators in April 2018 for the long-term, once-daily, maintenance treatment of airflow obstruction in patients with COPD, including chronic bronchitis and/or emphysema. The product is additionally indicated to reduce exacerbations of COPD in patients with a history of exacerbations. Trelegy Ellipta was previously licensed for use in the United States, EU and other countries. Trelegy Ellipta’s first FDA approval arrived during September 2017 for the long-term, once-daily, maintenance treatment of COPD patients who are receiving Breo (fluticasone furoate[FF]/vilanterol[VI]) and require additional bronchodilation or who are receiving Breo and Incruse (umeclidinium[UMEC]). The European Medicines Agency’s Committee for Medicinal Products for Human Use during September issued a positive opinion supporting the use of Trelegy Ellipta in a broader group of patients with moderate-to-severe COPD. If cleared for marketing, the labeling will be updated to further reflect the medicine’s effect on COPD exacerbations. The expanded indication for the once-a-day, single inhaler, three-in-one medicine would allow for use by patients not adequately treated by a long-acting muscarinic receptor antagonist (LAMA) and long-acting β2-agonist (LABA). FF/UMEC/VI was approved by the European Commission in November 2017 as a maintenance treatment in adult patients with moderate-to-severe COPD who are not adequately treated by a combination of an inhaled corticosteroid and a long-acting beta2-agonist. GlaxoSmithKline and Innoviva revealed during July the submission of a regulatory application to Japan’s MHLW for Trelegy Ellipta. The three-in-one medicine is intended for treating adults with chronic obstructive pulmonary disease. This regulatory submission marks the first filing to be made in Japan for a triple COPD therapy in a single inhaler. FF/UMEC/VI is the first COPD treatment to provide a combination of three molecules in a single inhaler that is taken in a single inhalation, once daily. Trelegy Ellipta is composed of the inhaled corticosteroid fluticasone furoate, the long-acting muscarinic antagonist umeclidinium, and the long-acting beta2-adrenergic agonist vilanterol. The product is delivered in the Ellipta dry powder inhaler, which is used across GlaxoSmithKline’s new portfolio of inhaled COPD medications. At the end of August, the European Commission approved Nucala (mepolizumab) for the treatment of children with severe asthma. Nucala represents the only anti-IL-5 biologic treatment for pediatric patients with severe eosinophilic asthma in Europe. The first-in-class monoclonal antibody targets interleukin-5 and is believed to work by preventing IL-5 from binding to its receptor on the surface of eosinophils. Inhibiting IL-5 binding in this fashion reduces blood eosinophils. Mepolizumab has been investigated in more than 3,000 patients in 16 clinical studies across a number of eosinophilic indications. Nucala was initially approved in the United States and Europe during fourth-quarter 2015 and has been cleared in more than 20 additional markets as an add-on maintenance treatment for patients with severe eosinophilic asthma, and is the leading biologic in this indication. In the U.S., Japan and Canada, Nucala is also available as add-on maintenance treatment for patients with eosinophilic granulomatosis with polyangiitis (EGPA). The drug is being evaluated in clinical development for severe hypereosinophilic syndrome, nasal polyposis, and chronic obstructive pulmonary disease. 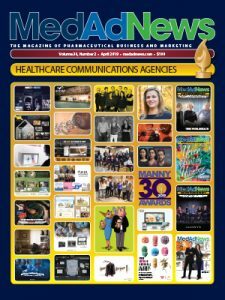 A complete response letter (CRL) was issued by the FDA during September regarding GSK’s marketing application for mepolizumab as an add-on treatment to inhaled corticosteroid-based maintenance treatment for the reduction of exacerbations in patients with COPD, guided by blood eosinophil counts. The CRL states that additional clinical data are needed to support regulatory approval. 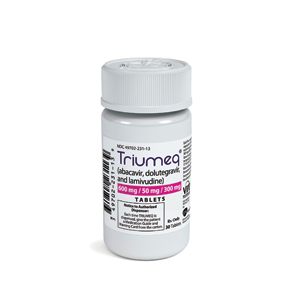 EU marketing authorization was granted during May for Juluca (dolutegravir 50 mg and rilpivirine 25 mg), the first two-drug regimen, once-daily, single pill for treating HIV. Juluca was approved for the treatment of human immunodeficiency virus type 1 infection in adults who are virologically suppressed on a stable antiretroviral regimen for at least six months with no history of virological failure and no known or suspected resistance to any non-nucleoside reverse transcriptase inhibitor or integrase inhibitor. Juluca consists of ViiV Healthcare’s dolutegravir, the most widely prescribed integrase inhibitor globally, and Janssen Sciences Ireland UC’s non-nucleoside reverse transcriptase inhibitor rilpivirine. During June 2014, ViiV and Janssen Sciences Ireland announced a collaboration to investigate the potential of combining dolutegravir and rilpivirine in one tablet in order to expand the treatment options available to people living with HIV. ViiV is a worldwide specialist HIV company established during November 2009 by GlaxoSmithKline and Pfizer that is dedicated to delivering advances in treatment and care for people living with HIV and for people who are at risk of becoming infected with HIV. Shionogi joined as a shareholder during October 2012. Juluca won U.S. regulatory approval on Nov. 21, 2017, as a complete regimen for treating HIV-1 infection in adults who are virologically suppressed (HIV-1 RNA less than 50 copies per mL) on a stable antiretroviral regimen for at least 6 months with no history of treatment failure and no known substitutions associated with resistance to the individual components of dolutegravir/rilpivirine. The medicine captured marketing clearance in Canada on May 18, 2018. ViiV has additionally filed regulatory marketing applications in other countries. The European Commission approved a label update for the use of once-daily Relvar Ellipta (FF/VI) in patients whose asthma is already adequately controlled on both an inhaled corticosteroid and long-acting β2-agonist. The product is indicated in Europe for the regular treatment of asthma in adults and adolescents aged 12 years and older where use of a combination medicinal product (long-acting beta2–agonist, and inhaled corticosteroid) is appropriate: patients not adequately controlled with inhaled corticosteroids and ‘as-needed’ inhaled short acting beta2-agonists; patients already adequately controlled on both inhaled corticosteroid and long-acting beta2-agonist. Relvar is marketed as Breo in the United States. Arnuity Ellipta was the recipient of U.S. regulatory clearance in May for use as a once-daily inhaled corticosteroid medicine for the maintenance treatment of asthma in children as young as 5 years old. Initially approved by the FDA during August 2014 for the maintenance treatment of asthma in patients aged 12 years and older, Arnuity Ellipta (fluticasone furoate) now is also indicated as maintenance treatment of asthma as prophylactic therapy in children ages 5 to 11 years. The May marketing approval makes Arnuity one of the few once-daily treatments for asthma licensed in the United States for patients ages 5-11 years. For that age group, the inhaled corticosteroid Arnuity is delivered as a 50-mcg once-daily dose using the Ellipta inhaler. GSK and Medicines for Malaria Venture (MMV) received FDA approval via Priority Review in July for single-dose Krintafel. The medicine was granted marketing clearance for the radical cure (prevention of relapse) of Plasmodium vivax malaria in patients aged 16 years and older who are receiving appropriate antimalarial therapy for acute P. vivax infection. Krintafel (tafenoquine) represents the first new treatment for P. vivax malaria in more than 60 years. The new drug application for Krintafel was filed by GSK with U.S. regulators during November 2017. A regulatory submission was additionally made to the Australian Therapeutics Good Administration during December 2017. An 8-aminoquinoline derivative, Krintafel is active against all stages of the P. vivax lifecycle, including hypnozoites. The product was first synthesized by scientists at the Walter Reed Army Institute of Research during 1978. GSK’s legacy in the R&D of tafenoquine as a potential medicine for malaria commenced more than 20 years ago. During 2008, the company entered into a collaboration with the not-for-profit drug research partnership MMV to develop tafenoquine as an anti-relapse drug for patients infected with P. vivax. The tafenoquine clinical program is part of GlaxoSmithKline’s worldwide health program targeted at improving healthcare for vulnerable populations. An expanded indication was granted by European regulators in February for Fluarix Tetra to include adults and children ages 6 months and older for the prevention of influenza disease caused by the two influenza A virus subtypes and the two influenza B virus types contained in the vaccine. Fluarix Tetra was additionally approved to be concomitantly administered with pneumococcal polysaccharide vaccines in people aged 50 years and older. Previously, the quadrivalent influenza was approved for active immunization against influenza A subtype viruses and type B viruses, in people 3 years of age and older. Fluarix Tetra was initially granted marketing approval during 2013 in Germany, France and the UK for the prevention of influenza disease in people 3 years of age and older. The vaccine is approved in more than 30 other countries, including the United States, and more than 100 million doses have been distributed since launch. ViiV Healthcare submitted a marketing authorization application to the European Medicines Agency during September for a single-tablet, two-drug regimen of dolutegravir (DTG) and lamivudine (3TC) for treating HIV-1 infection. The MAA filing is based on the worldwide GEMINI 1 and 2 studies that included more than 1,400 HIV-1 infected adults with baseline viral loads up to 500,000 c/mL. A new drug application submission for FDA marketing clearance was planned for the single tablet regimen in October 2018, using a priority review voucher. Other global regulatory filings of dolutegravir and lamivudine as a single-tablet, two-drug regimen for HIV-1 therapy are anticipated in the near term. 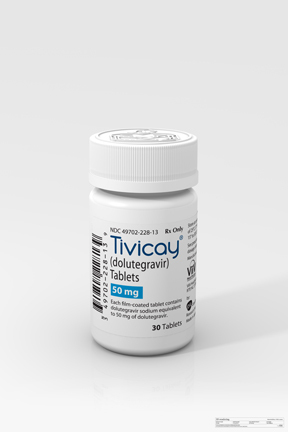 The integrase strand transfer inhibitor Tivicay (dolutegravir) is marketed around the globe for use in combination with other antiretroviral agents for treating HIV. Tivicay has been approved in more than 100 countries across North America, Europe, Asia, Australia, Africa and Latin America. 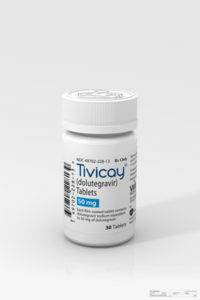 Dolutegravir is the active ingredient in Tivicay, an integrase strand transfer inhibitor (INSTI) for use in combination with other antiretroviral agents for treating HIV. Integrase inhibitors block HIV replication by preventing the viral DNA from integrating into the genetic material of human immune cells, known as T-cells. This step is essential in the HIV replication cycle and is responsible for establishing chronic infection. Tivicay is available in more than 100 countries across North America, Europe, Asia, Australia, Africa and Latin America. Lamivudine, the main chemical composing Epivir, is a nucleoside analog used in combination with other antiretroviral agents for HIV infection treatment. Lamivudine is additionally available in generic forms. GlaxoSmithKline and Adaptimmune Therapeutics announced in July the transition of the development program for GSK3377794 (GSK ‘794), an NY-ESO SPEAR T-cell therapy, to GlaxoSmithKline. GSK ‘794 is an engineered T-cell therapy, for which a patient’s own cells have been genetically modified to express a T-cell receptor recognizing with high affinity the tumor-specific antigen NY-ESO. When the modified cells are re-infused into the patient, they recognize and kill tumor cells that express that antigen. NY-ESO is expressed at various levels across different tumors. The antigen appears to be expressed at high levels in defined sub-types of soft-tissue sarcomas, melanoma, multiple myeloma, bladder cancer, non-small cell lung cancer, ovarian cancer and gastro-intestinal cancers. GlaxoSmithKline has assumed responsibilities for all continuing studies of NY-ESO SPEAR T-cells. Successful continuation of development and subsequent commercialization of GSK ‘794 will trigger additional payments for development milestones, tiered sales milestones, and mid-single to low double-digit royalties on global net sales. The companies announced their strategic collaboration and license agreement during June 2014 for up to five programs, including the first one, NY-ESO. The terms of the deal were expanded in February 2016 to accelerate development of NY-ESO SPEAR T-cell therapy toward registration studies in synovial sarcoma, to explore development in myxoid/round cell liposarcoma, and to enable combination trials. During September 2017, GlaxoSmithKline exercised the option to exclusively license the right to research, develop, and commercialize Adaptimmune’s NY-ESO SPEAR T-cell therapy program. GlaxoSmithKline and Orchard Therapeutics unveiled a strategic agreement in April. GlaxoSmithKline transferred the company’s portfolio of approved and investigational rare disease gene therapies to Orchard, securing the continued development of the programs and access for patients. This acquisition bolsters Orchard’s position as a worldwide leader in gene therapy for rare diseases. GlaxoSmithKline will continue to invest in the development of its platform capabilities in cell and gene therapies, with a concentration on oncology. As a result, GSK became an investor in Orchard Therapeutics, receiving a 19.9 percent equity stake along with a seat on the company’s board. GlaxoSmithKline will additionally receive financial considerations in the form of royalties and commercial milestone payments related to the acquired portfolio. The two companies are exchanging manufacturing, technical and commercial insights and learnings on the development of gene therapy medicines to ensure the success of the assets. The portfolio of gene therapy programs purchased by Orchard includes: Strimvelis, the first autologous ex vivo gene therapy for children with adenosine deaminase severe combined immunodeficiency, approved by the EMA during 2016; two late-stage clinical programs in ongoing registrational studies for metachromatic leukodystrophy and Wiskott Aldrich syndrome; and a clinical program for beta thalassemia. The Orchard agreement follows GlaxoSmithKline’s strategic review of the company’s rare disease unit, announced during July 2017, as part of the Group’s continuing prioritization and strengthening of the pharma pipeline with a focus on priority programs in two current therapy areas, respiratory and HIV/infectious diseases, and two potential areas, oncology and immuno-inflammation.